snewthewanderlust: W - Whatever, Whenever! These are such powerful punchlines, bringing us great expectation prior to our arrival. Our second trip to the amazing place - Maldives. This time, choosing for the resort to stay was a big challenge for us. Papa Snew has a list of expectations on the selection of the resort. We all know that Maldives is no cheap destination. Trying to meet expectations, budget and timing it for a good weather was such a challenge. Amidst hot favourite - Conrad Rangali, we decided on W Retreat & Spa instead. We love the fact that the resort does not allow kids, and recommended for the young couples. Alright, I admit, we're not that young anymore, we are probably at our "quarter-life crisis", yearning for a great holiday in Island Paradise. So, finally the trip is set for 4 Nights at the Wow! Resort. This time, the island is at North Ari Atoll, and the route is service by Maldivian Air Taxi. After we reach the airport, we were received by the W staff personnel, who helped us to re-checked-in our luggage for the seaplane at the airport terminal. Our hand luggage ie. haversack were also weighed, to ensure that it does the exceed the total weight the seaplane can carry. We were transferred to the W lounge from the Male International Airport to the Seaplane Terminal, which is the beginning of Wow experience. The lounge has an outdoor and indoor area. Because of the hot weather, most guests would choose to relax indoor. But guests can also admire the seaplanes departing and landing when sitting outdoor. There are plenty of refreshments, from orange juice, apples, sandwiches, muffins. We just need to help ourselves to it. WIFI is also provided complimentary. This time, we waited less than an hour for the Seaplane. I guess the weather was good, hence, no delay. This is how the seaplane looks like. Takes about 10-12 pax. From the window of the Seaplane, we can see Male town. We also spotted this beautiful resort. I wonder what this resort is. One of the amazing sights, are these neatly aligned group of islands. Or are these groups of Atolls? We arrived at W Retreat & Spa less than the scheduled 25minutes. I feel the WOW factor immediately! Looking out at our seaplanes windows, this is what we saw. Staff members, including the Hotel Manager and his welcome team were waving to receive us. We were warmly welcome, given cold towels, and a welcome drink. DJ was also spinning the W music when we were seated at the Welcome area. The welcome area with the signature W is the "must have" camera spot for guests. I simply love the way it's being designed. Simple, yet classy. Look at the evening sunset view, with W facing the Ocean villas. This is my favourite camera spot actually. Buggies was already lined up to bring us around the resort island. Simply love the W-Style Buggy. If your villa is located at the far end, or you are just simply lazy to walk, you can just dial - Whatever, Whenever and the buggy will be right at your door step. Whatever, Whenever is the Concierge or Guest Services that takes care of the guests needs, 24/7. Dinner reservations, activities or any problems we have with the villa, we just dial Whatever, Whenever. Response to our requests were always prompt, with the longest we have to wait was 15minutes. Look at the carpets, they change every morning, afternoon and evening. Not once did I see a misplaced greeting on the carpet. This is truly a five-star resort. The other touch in the resort that touches our heart is the Sweet Treats Station. 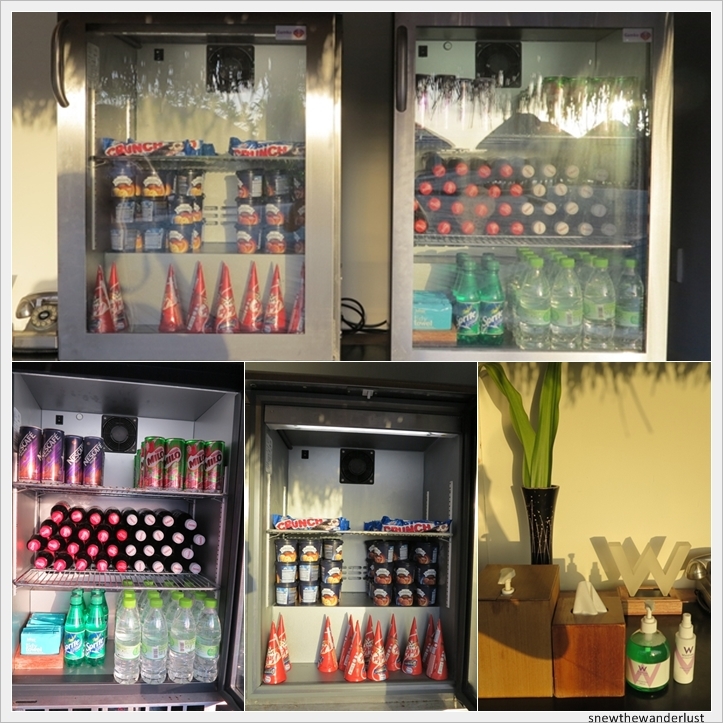 They are located throughout the resort and are replenished constantly. You can get soft drinks, ice-cream, chilled water, towels, wet wipes, and even moisturising lotion at these stations, complimentary of the resort. Papa Snew would always stop at the station to check out if there's any new additions of ice-cream. He expected Magnum as posted in some trip reviews, but instead, found Nestle Kit Kat. He was a little disappointed though, as he loved Magnum. Thank you so much for this in depth blog. My partner and I are booked in at W Retreat next April and this is the most comprehensive blog we have seen. I am so excited! Hi Nikki, thanks for encouragement on the blog. I'm excited for you! Do let me know how is your trip when you're back! Hi, your review has been very helpful! We are going to the W in July for our 2nd trip to the Maldives and hope it will be at least as good or better than our experience at the Constance. Hi, thanks! Constance Halaveli looks just as great! 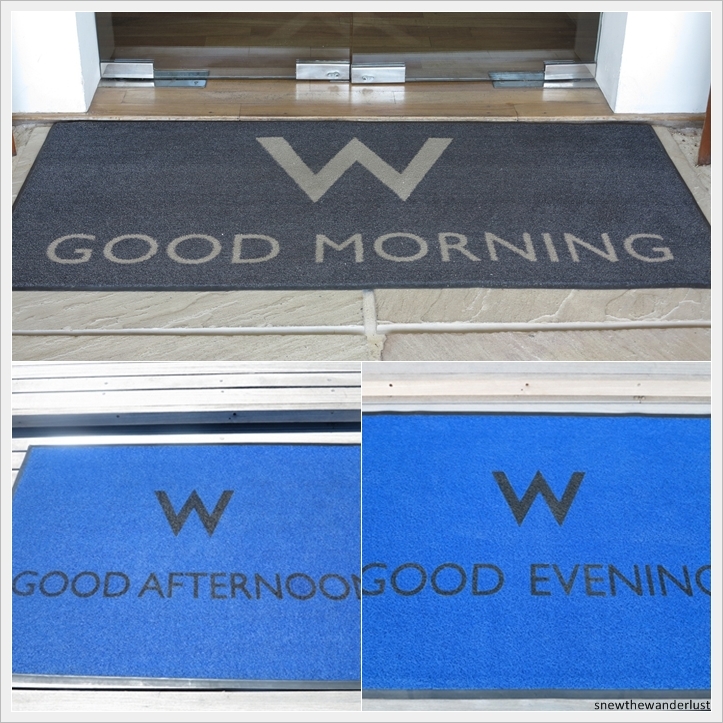 Do let us know how your stay at W goes when you return. Have a good trip!